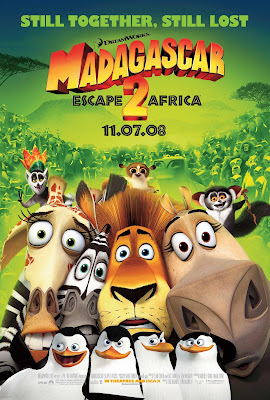 Made a return from the 2005's "Madagascar", the New York animals - Alex the lion, Marty the zebra, Melman the giraffe and Gloria the hippo together with King Julien, Maurice,the penguins and the chimpanzees find themselves in the wilderness of Africa. It is where they encounter species of their own kind for the every first time. While discovering their roots, they quickly find the differences between the concrete jungle and the heart of Africa. Alex reunites with his dad Zuba and his mother Florrie. Marty meets a lof of his "clones". 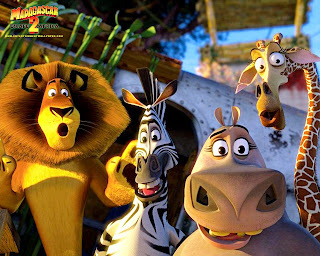 Melman becomes the giraffe herd's new witch doctor and helps animals with diseases and wounds. Gloria gossips with the female hippos and soon meets Moto Moto as a potential mates. It is funny when Alex cannot differentiate his best friend from a crowd of other zebras. Haha.. I think that Marty are one of 'Zebra' clones?? because they always doing same thing like Marty! Haha! 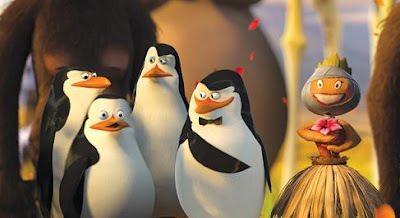 wow.. you already watch Bolt?? So early! I will watch it on next week..